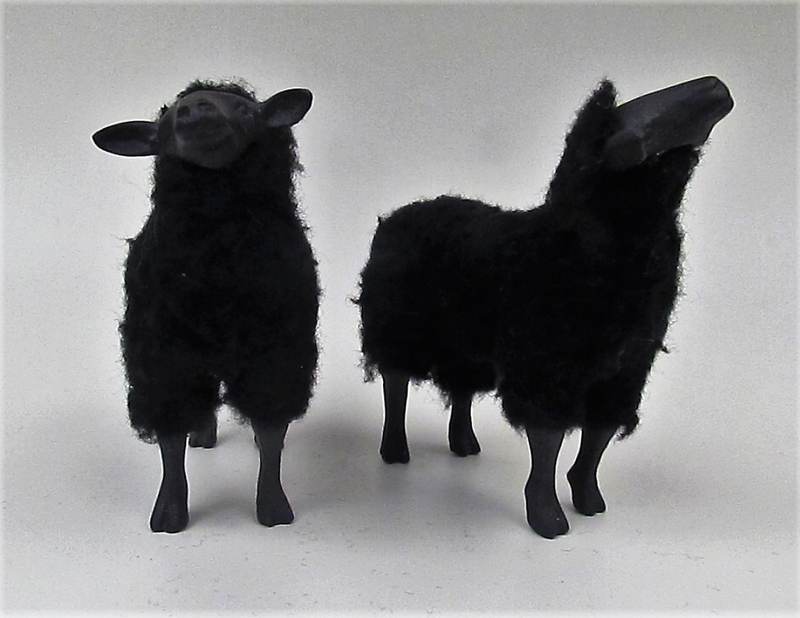 These Merino are part of my Doll House series. At approximately 3 3/4" tall, they are on the 1:12 scale. They are porcelain covered with a woven wool fur. The American Heritage breeds are those sheep that were brought to North America by the early settlers and have become a unique breed unto themselves in over time. The Merino is a Spanish breed brought to the United States by the early Spanish settlers and is prized by farmers for the quality of its wool. Around the world, the Merino has been crossed with other breeds to obtain particular traits.